This page is important because it helps publishers to see which Galleries are getting the most activity, and then prioritizing the maintenance based on the traffic those shops are receiving. 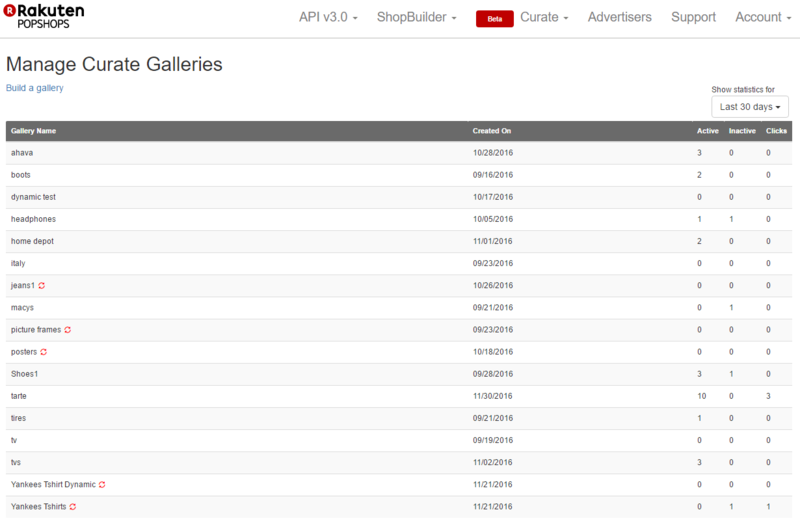 Please be aware that Dynamic Galleries will always show Active and Inactive as 0 since products constantly change as merchants update their product feeds. Thank you for all of your feedback and for letting us know that this feature was important to you.